TORONTO, CANADA – Travel Professionals International (TPI), a Virtuoso member and Canada’s leading network of independent travel advisors and agencies, held its annual TPI Velocity Trip at Secrets SilverSands. Unique to TPI advisors, the industry leading and exclusive Velocity rewards program is designed to recognize and incentivize advisors. 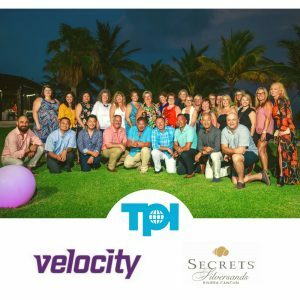 The TPI Velocity program allows advisors to build their business through increased revenue and they are rewarded with incentives such as higher commissions and dollars that can be used for their own travel. Along with other perks and their annual Velocity trip for advisors and guests, it is a true sales incentive program. The TPI Velocity Rewards program has paid out over $190,000 YTD to their advisors. 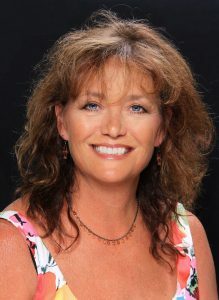 Since its founding in 1994, Travel Professionals International (TPI) has been the premier provider of outsourced travel solutions to independent travel advisors and agencies. Backed by a head office support team of fifty highly skilled travel professionals, innovative technological solutions, and excellent supplier relationships, hundreds of TPI advisors across Canada are available to provide full-service travel solutions to leisure and corporate travellers. More information is available at www.tpi.ca. TORONTO, CANADA – Travel Professionals International (TPI), a Virtuoso member and Canada’s leading network of independent travel advisors and agencies, hosted a contest for its advisors for the travel agent month with Norwegian Cruise Line. “To honour our network, we had dedicated the month of May to celebrate our advisors,” said Gedeon, CEO of Travel Professionals International. During the month, TPI advisors had the opportunity to win daily prize giveaways, capped off with a Grand Prize – cruise for two aboard Norwegian Cruise Line. TPI is excited to announce the winner of this grand prize is Monique Powell. Powell has been a loyal member of the TPI family since July 2011. “We would like to congratulate Monique and thank all our advisors for participating in the contest” added Gedeon. TPI prides itself on its ever-growing network of independent travel advisors and continues to support its advisors with various incentives to help them push their sales. 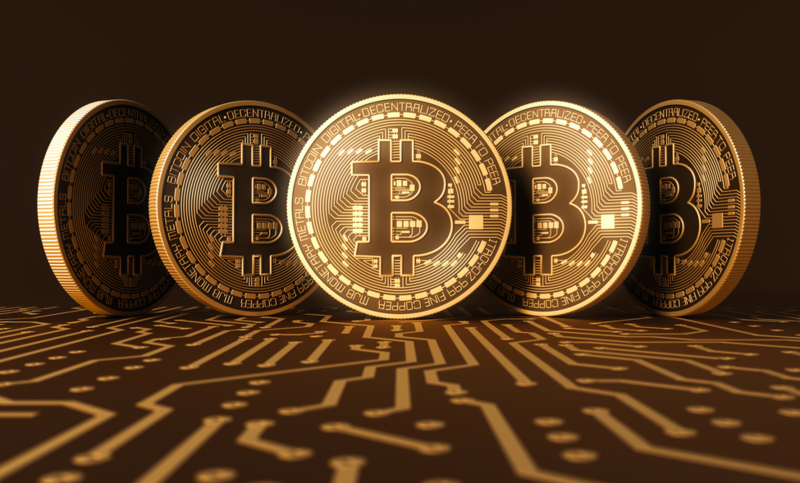 TORONTO, CANADA – Travel Professionals International (TPI), a Virtuoso member and Canada’s leading network of Independent Travel Advisors, today announced they are now accepting bitcoin as a form of payment for all purchases. Offering travelers another way to book, travellers can now shop from the vast array of products available including all Virtuoso products at TPI, and for the first time ever beginning today, easily pay using bitcoin. TPI partnered with Arclabs, to provide more payment options to our advisors to support their customers. Arclabs is a Software Development Company based in Winnipeg, Canada and founded in 2016. Arclabs specializes in applying data science and AI technologies to real-world problems and products. Their secure, dedicated team evaluates, categorizes, and annotates data to deliver consistent and accurate solutions. Arclabs offers custom development solutions to users around the world with successful projects in data analytics, eCommerce, web, iOS, Android, security solutions and more. TORONTO, CANADA – Travel Professionals International (TPI), a Virtuoso member and Canada’s leading network of independent travel advisors and agencies, held its annual TPI Summit events across Canada from 22 May to 2 June. Taking place in 9 major cities across Canada, over 375 advisors participated in the events – a marked increase in engagement over 2017. “These events are important touch points for TPI to ensure we continue to help our advisors work smarter and not harder,” said Zeina Gedeon, CEO. 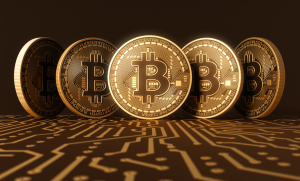 The events launched TPI’s partnership with Arclabs, providing clients the ability to pay with Bitcoin-cryptocurrency for their vacations. “We, as a company, believe in the concept of cryptocurrencies. Bitcoin is a secure, easy option for our customers to purchase vacations,” said Gedeon. Other items launched during the Summit Events include new, exclusive consumer offers, lead generation programs, and further technology initiatives, that are focused on saving time and making more money. “I am constantly amazed at all of the hard work our advisors do to grow their business. They are the backbone of our company, and it’s a great pleasure working together to succeed in business. The feedback from our Summits that we have received from our Advisors and Partners was nothing short of fantastic and the information shared was focused on the tools that can assist with business growth and future success”, said Zeina Gedeon, CEO. TPI prides itself on its ever-growing network of independent travel advisors and support staff spanning the country. The 2018 TPI Summit events were generously sponsored by this year’s Presenting Partners, Transat, Allianz, Royal Caribbean and Platinum Partner, WestJet Vacations, among other preferred partner participants.